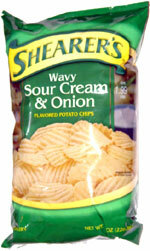 Taste test: These wide-rippled chips had a pretty good sour cream and onion flavor. 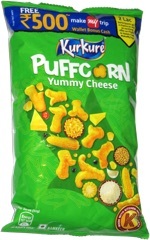 Not among the greatest sour cream and onion chips, but OK. Smell test: Mild oniony smell.